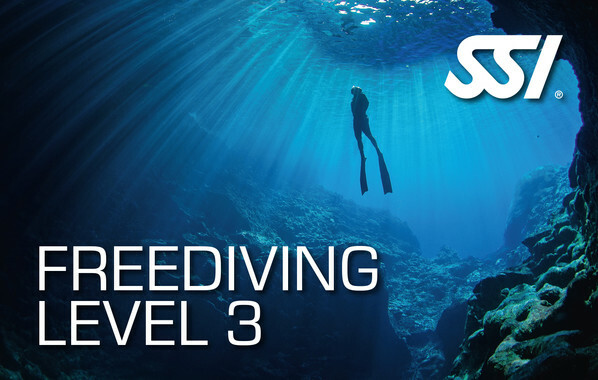 Faster, deeper, further: The Freediving Level 3 certification further expands your knowledge of freediving, which you have acquired through the SSI Freediving Level 1 and Freediving Level 2 courses. After the successful completion of the course, you will be able to reach depths of 40 meters in the open water with a buddy. Much closer you will not get to the limitless diving freedom! You must be able to swim at least 400 meters without a stop. You have successfully completed the Freediving Level 2 course. You can prove at least 30 logged freediving sessions.